Our Tiny homes are designed with beauty, comfort and liveability in mind. 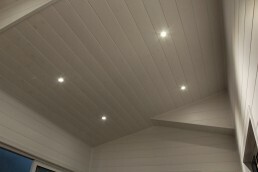 We focus on quality in our build from start to finish. 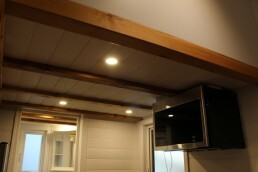 We can deliver you a luxury cabin with all the conveniences of a full sized house. 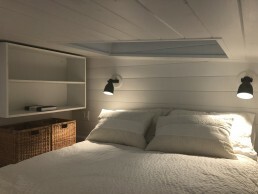 We can work within your budget to create a tiny home to meet your needs. 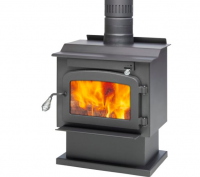 We offer complete customization of design as well as our base models. Get an idea of expected costs for your build with our Tiny home Estimate feature. 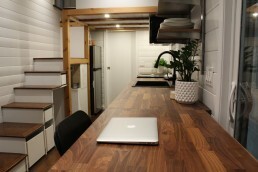 Want a finished Tiny Home sooner rather than later? Keep an eye on our For Sale page, you may find yourself a ready to move in model that fits your needs. If you are a bit of a DIY enthusiast, check out our Quick Start Tiny House Shells. 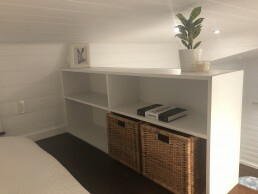 This will give you a headstart on your build, and we can deliver a waterproof, structurally sound tiny house to your doorstep, all you have to do is finish the inside without worrying about weather or security. 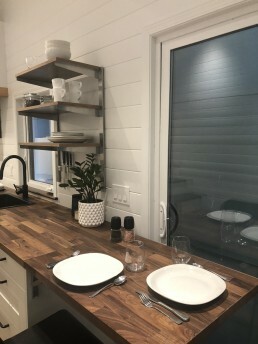 If you like even more of a challenge and want to build from start to finish, we can help with that too, have a look at our specially designed Custom Tiny House Trailers. These can get you off the ground in a hurry, make it incredibly simple to connect the Framing to the trailer, and remove many of the headaches of building on a regular cargo trailer. Right from the beginning we focus on providing the best customer experience we possibly can. We work hard to get an understanding of your needs and style. 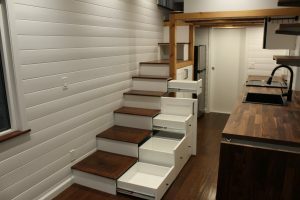 Your tiny home is personal and unique to you, our job is to deliver your tiny house vision to your doorstep. 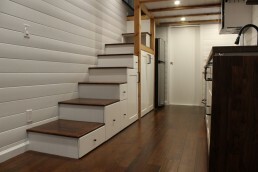 We like to keep you involved in the tiny home build from design to completion. We send regular updates and photos every step of the way so you feel connected to the build and know exactly what stage your tiny home is at. You’re always welcome to come visit the workshop and see it in person at the various stages. We are always available by phone or email, don’t hesitate to get in touch. 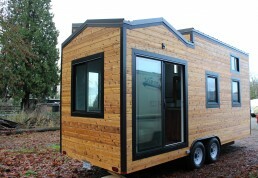 We are ready to respond long after delivery to make sure everything is good with your tiny house. Curious for more info? Find out how much a tiny home will cost with our estimator below. ✔ Internet and Cable Ready, Recessed TV outlet.